The original host of The Stand Up Show is also a prolific author and an established actor - with credits including Blessed. 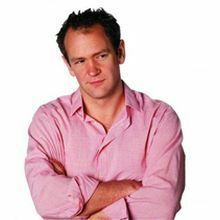 As a comedian Ardal’s style is much closer to Father Ted than My Hero: With his Irish charm and gloriously surreal observations he has charmed crowds from Australia to Holland. Ardal’s extensive TV credits include as well as the hugely successful Father Ted; My Hero; Doctor Who; Skins; several series hosting The Stand Up Show, and recent panel show appearances include Argumental, Michael McIntyre’s Road show, and hosting an episode of Dave’s On Night Stand. Ardal’s debut novel The Talk of the Town proved an enormous hit, remaining on the Best Seller charts for more than 6 months. It was recently voted one of the 1001 books to read before you die. Film credits include Another Bobby O’Hara Story; Greyfriers Bobby (feature); and the lead role in Wide Open Spaces. 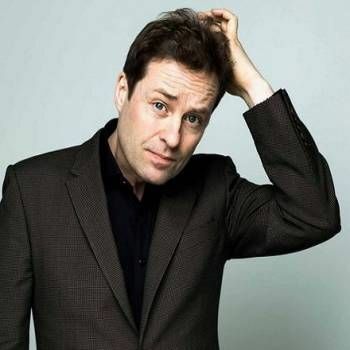 In December 2016 Ardals’ new TV programme, Ireland with Ardal O’Hanlon airs on Channel 4, the series sees Ardal exploring the Emerald Isle and Irish life as he goes off the beaten track around his beloved homeland. Using a series of Victorian guidebooks written by Mr & Mrs S C Hall to tempt the English over to Ireland, Ardal meets the people who make the country the great nation it is. He roams from small towns to idiosyncratic attractions, detours from pulpit to pub and rejoices in the unique festivities and characters you can only find in Ireland.